Preston Montoya has been involved in the sales, service, maintenance and repair of rotating equipment for over 10 years. 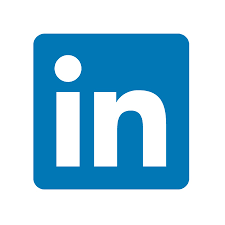 He has been a Senior Field Service Technician for Ambiente H2O Inc. from 2010 to 2015. From 2015 to present-Southern Colorado sales force. Prior to joining Ambiente H2O Inc. he held a similar position for Energy Repair, Inc.
Michael Giron is a Senior Estimator/Project Coordinator at Ambiente H2O, with responsibility for cost estimating, project scheduling, equipment sales and health and safety management. Prior to joining Ambiente H2O, Mike worked in Quality Control, Project Management and Health/Safety for an Alaskan Native Owned Small Business in Denver, Colorado. Michael holds a bachelor’s degree in Mechanical Engineering from Metropolitan State University of Denver. He lives in Denver with his wife, their two children and one grandchild. President and founder of Ambiente H2O, Steve Has been here since 2006 building this company to what it is today, He has an unmatched sense of determination to ensure customer satisfaction. Jane Handle all the finances Here at Ambiente H2O, she has also been here since the start, she has helped this company through thick and thin with her amazing skills, so if you have any financial Questions be sure to ask her! I am a 3rd generation engineered equipment salesman. So naturally when I fly I look out the window for wastewater plants. I started my career in the warehouse, transitioned to equipment start-up and service and for the past 10 years I have been a Territory Manager. I currently have the privilege of serving the great people of MT and Northern, WY. My passion is to solve problems either by turning a wrench or through state-of-the-art equipment. Please let me know how I can assist you. Sean started working Ambiente H20 fresh out of college and is starting his fifth year here. Sean is the territory salesman for northern Colorado And Wyoming. Some of the things Sean enjoys about His job is he get to get his hands dirty, and having think on his feet. Brandon started working for Ambiente H2O in April 2016. He relocated from Montana to Rigby, ID to manage the Idaho territory. His career in the pump industry started in 2000 where he quickly worked his way up to a Project Engineer position for Weir Pump and later moved to a Regional Sales Manager for Vogelsang. He has been factory trained by over 18 manufacturers and is experienced in Municipal, Industrial, Mining and Commercial applications. Brandon loves spending time with his wife and two kids. Some of his hobbies include camping, hiking and traveling. If you need anything or have any questions don’t hesitate to give him a call. 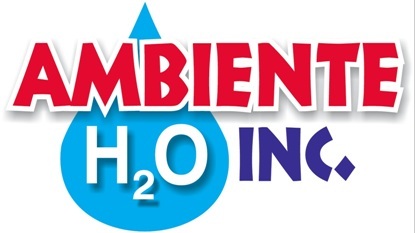 Starting my 7th year with Ambiente H20 Inc., I do estimating and office details. I work with Ben Lewis in our Billings Montana office. I love what I do, where I’m at, and where we are going. Married to KayLyn for 18+ years, living life to the fullest here in Montana. Come get to know us here at Ambiente H2O!! !